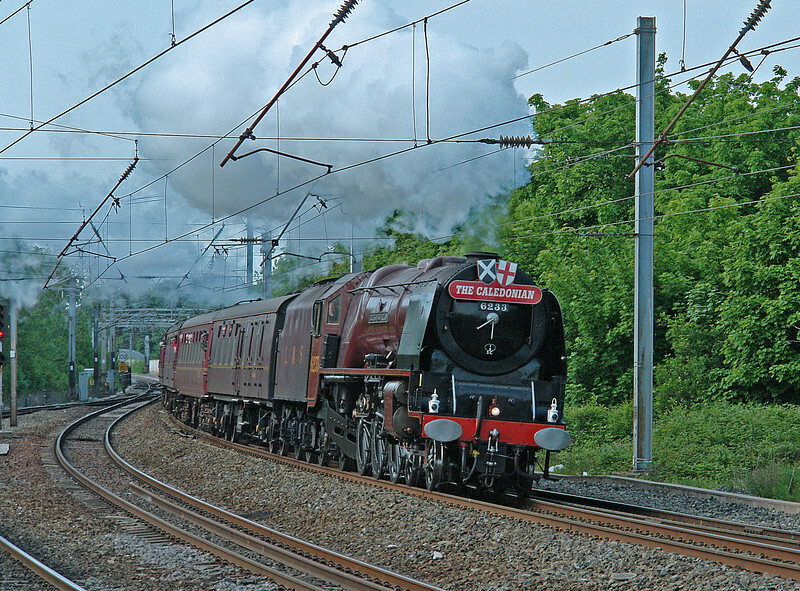 6233 leans to the curve of the 'up fast' at Lancaster with the 'The Citadel Express' of 24th May 2008. A red 'semi' wearing the 'Caledonian' headboard brought back happy childhood memories of watching trains from this very spot..........almost 50 years earlier! There's no doubt about it that is a fine photo, leaning into the curve adds speed, and yes i watched them a few miles further south but my spot was not as photogenic.